The former India batsman and ex-chief selector feels that Dhoni's fitness is what separates him from other Indian wicketkeepers. Was MS Dhoni dropped or rested or did he voluntarily decide to depart from India’s Twenty20 international squad last week? 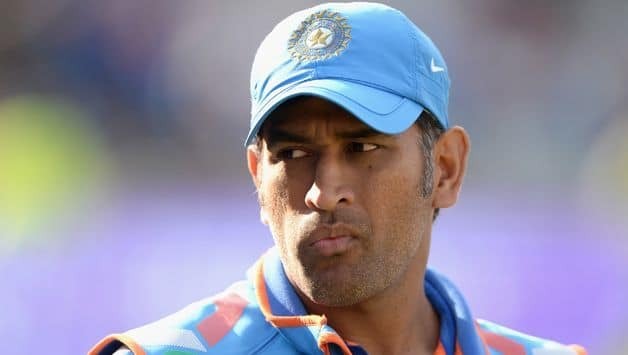 The absence of Dhoni’s name from the squad for three matches against West Indies and three against Australia next month triggered widespread rumours over the future of the man who led India to its only ICC World Twenty20 title in 2007. He is fit – his acrobatic catch during the third ODI versus West Indies on Saturday was evidence of that – and he has not indicated any signs of retirement, which to anyone who has followed Indian cricket indicates that Dhoni had been dropped. The aforementioned catch that Dhoni held in Pune a day after he was dropped could be viewed as a fitting retort to anyone who questioned his fitness, at the age of 37 and after 512 international matches. Chandrapaul Hemraj failed to connect Jasprit Bumrah’s short delivery and got a leading edge that went high in the air, which Dhoni ran after for about 20 yards before diving full stretch to hold a stunner. 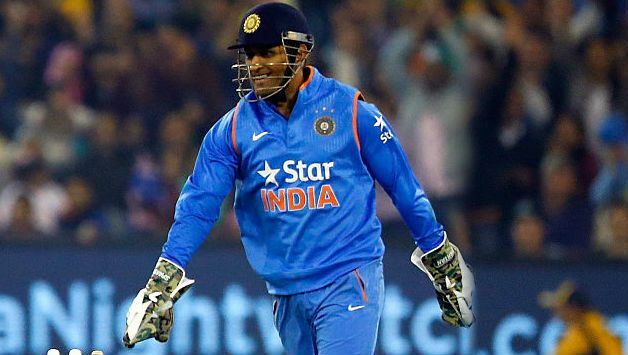 That effort, says Borde, is what separates Dhoni from other Indian wicketkeepers. “The way Dhoni is keeping, that catch he took was fantastic. Even a youngster would not have been able to take that. He is such a fit person,” he says. 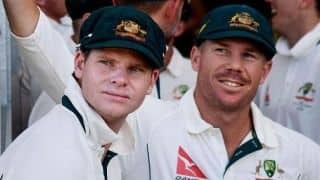 However, it is not Dhoni’s work behind the stumps that has been in question – it is is batting, against the backdrop of a frail middle order. 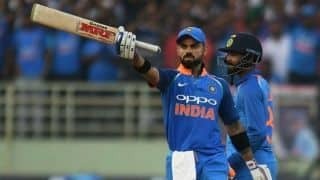 He has registered scores of 7, 20, 36, 8, 33, 0, 42 in ODIs this year and will hope to rediscover his famed batting skills in the fourth ODI in Mumbai with the series poised nicely at 1-1. During an eye-opening loss in Pune, India were clearly short of a batsman. Kedar Jadhav, who regained fitness and was drafted into India A for the Deodhar Trophy, was supposed to be the frontrunner for a spot in the playing XI. However, the think tank chose to go with five bowlers and opted for young pacer Khaleel Ahmed instead. Borde feels this decision was taken to allow Jadhav a couple more days. “The reason why Kedar Jadhav was not chosen was probably because they want to give him enough time to get 100 per cent fit. He is one of those players who is prone to injury and that is the reason they are trying some other players to replace him, but I don’t think they have found anybody of his calibre,” he says.